Destiny 2’s The Dawning holiday event is live now, and players are in for some winter treats! The event is available to players on PC, Playstation 4, and Xbox One. Once players log in to the game, they will be greeted by the game’s wintry look, especially in The Tower and Farm social spaces. Winter decorations and snow don the most-frequented spots in the game, which makes it perfect for snowball fights. 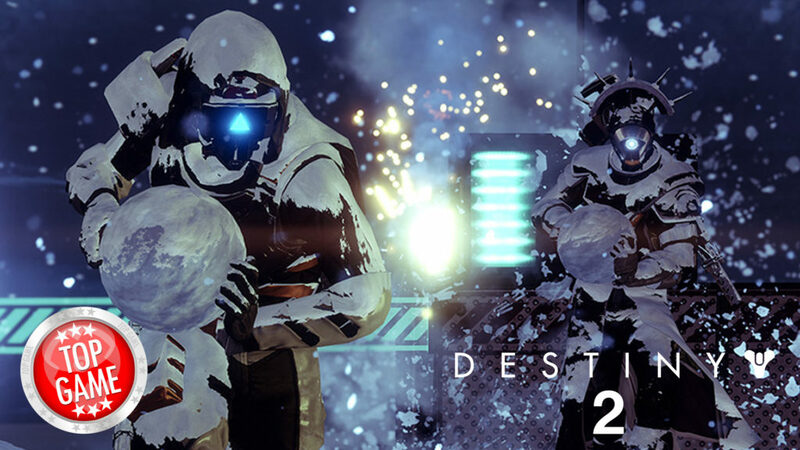 Players can conduct these fun snowball fights in social spaces as well as on Strikes. The event also brings back the fast, chaotic, and entertaining Mayhem matches. The Dawning also adds new Milestones which players can complete either by finishing Mayhem matches, or by running Strikes. Each of the Milestones will grant a Dawning engram. Aside from those mentioned, The Dawning also has Dawning items available at the Eververse Trading Company. Players can purchase these items by using Bright Dust. Gifting and receiving will also be available, so players can go and craft items which they can give to vendors and receive something in return. The Dawning will be available until 9 January 2018. Destiny 2’s first big expansion is coming and we’re here to give you the low down on everything you need to know for Curse of Osiris on launch day.